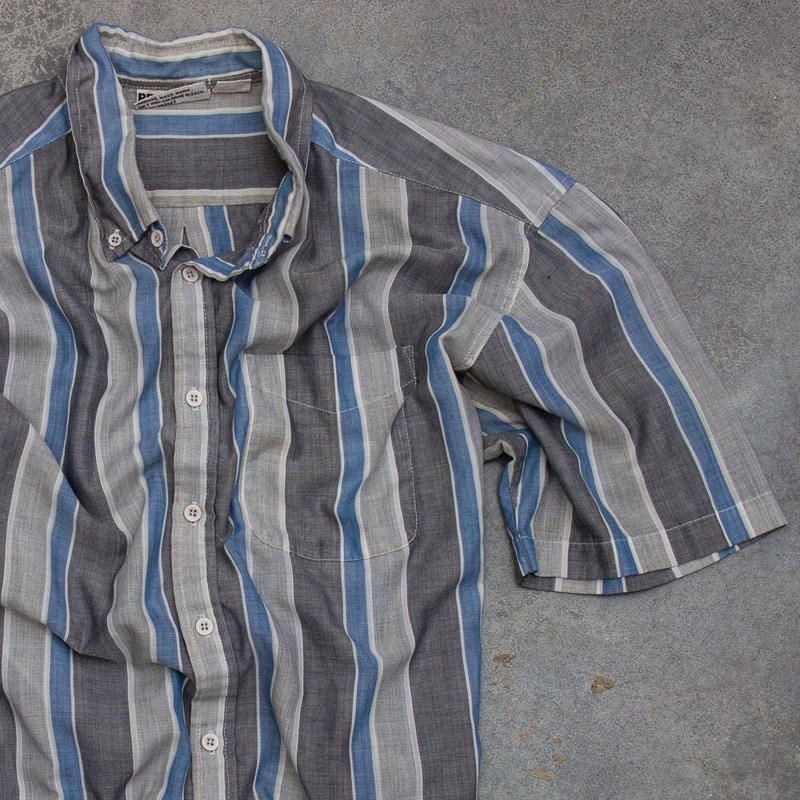 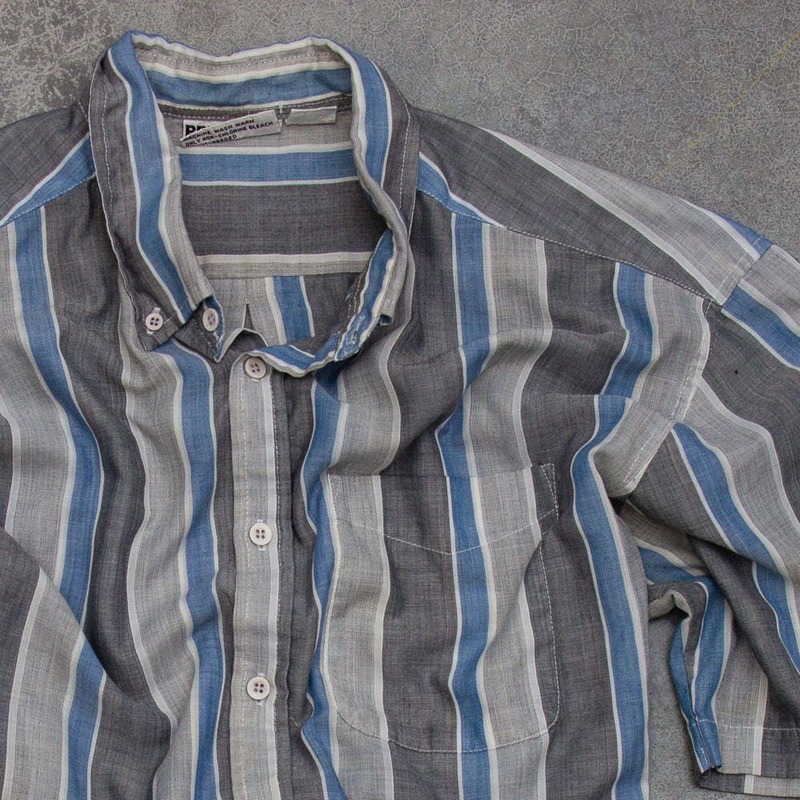 Thin and super comfy striped men's short sleeve button down shirt in tones of blue and gray. 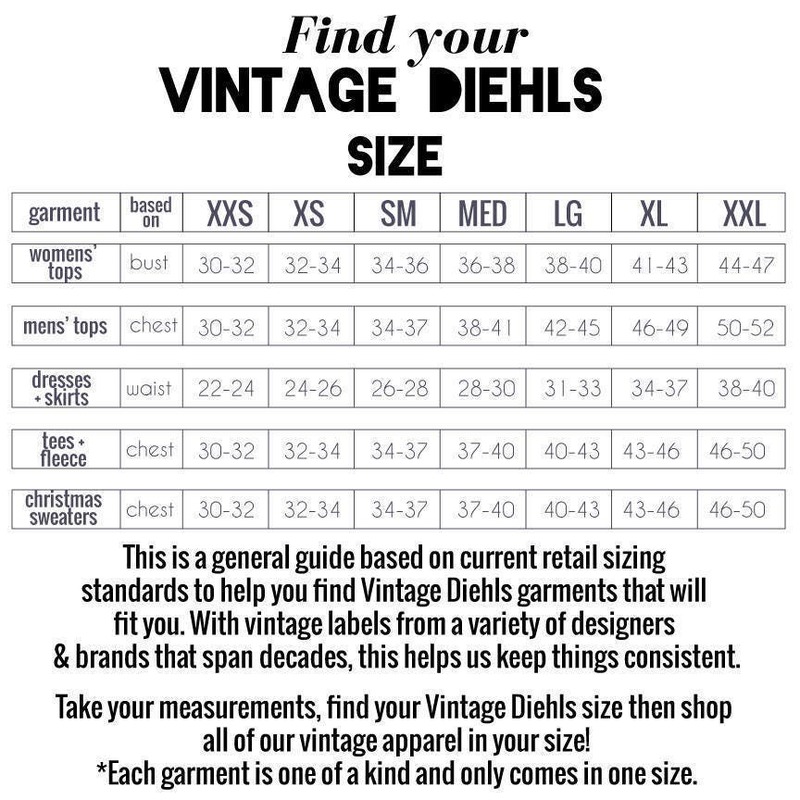 Vintage Diehls Size: XL (this sometimes differs from size on tag. 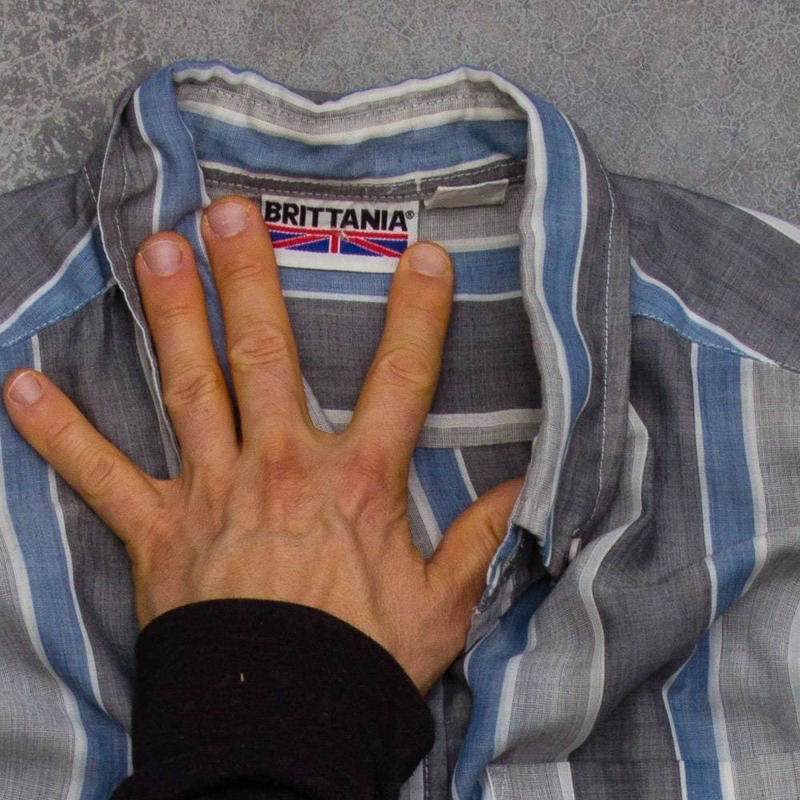 It is approximate and based on chest measurement, be sure to look at all measurements). 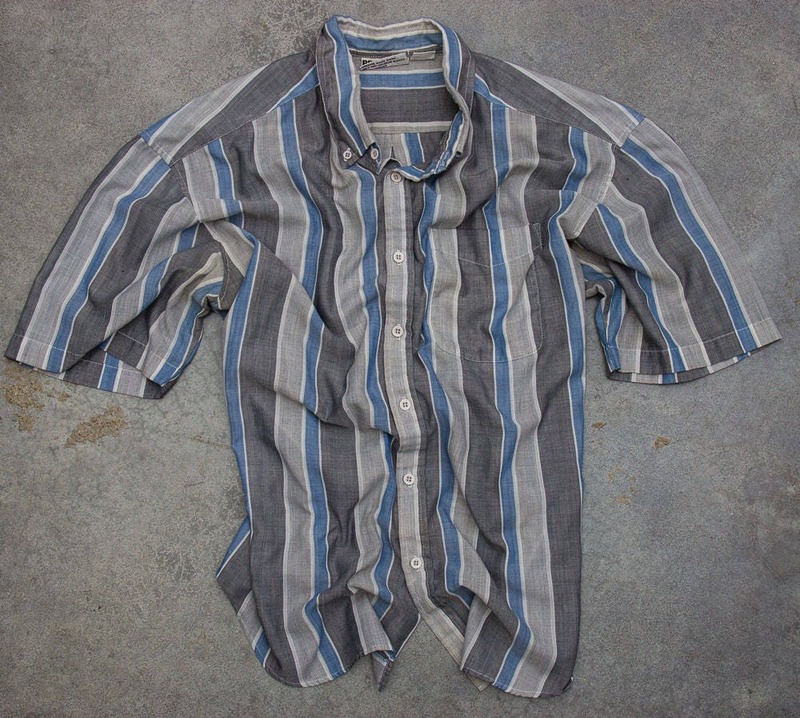 This item is in good vintage condition with normal wear. 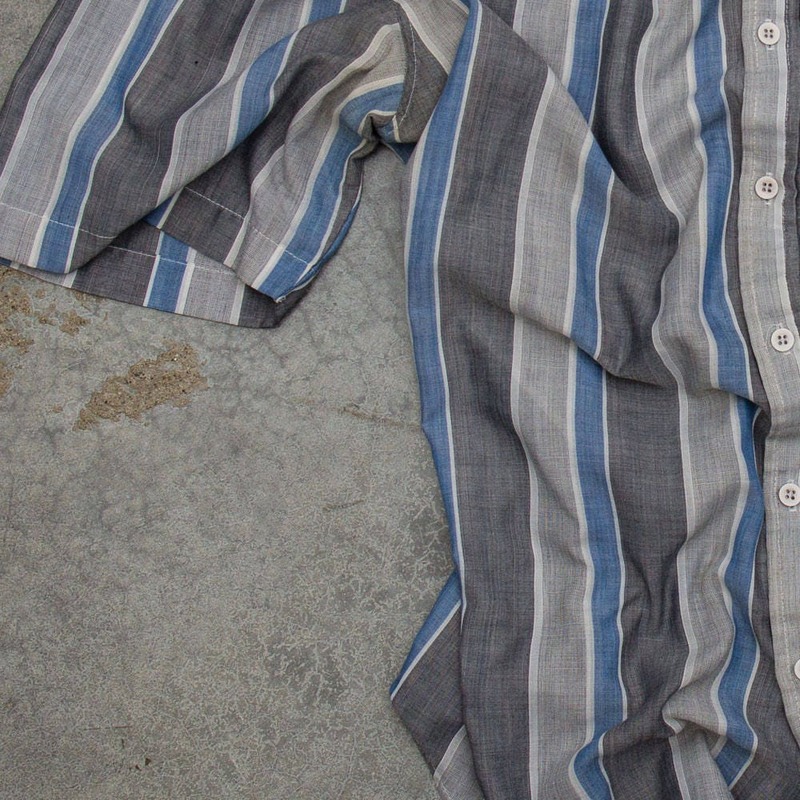 We take great pride in washing and prepping our garments without harsh chemicals or scents.